Study abroad programs continue to be very popular. According to OECD, there are almost 4.3 million students enrolled at a college or university outside their home country. Participating in an international student program can be a life-changing event. You will expand your horizons, experience new cultures, and gain valuable skills that will last a lifetime. Did You Know? Australia, the United Kingdom, and Switzerland have the highest percentage of international students. If you’re not sure if a study abroad program is the right fit for you, you might want to consider an internship or volunteer program. Participating in any one of these will boost your resume and make you attractive to potential employers. Study Abroad – Studying abroad will ensure you get the exposure to cultures, history, and languages you won’t get staying at home. Participating in a study abroad program is especially valuable if you are majoring in a foreign language, international business, or the arts, for example. Internship – An internship can help you get the international experience you desire, while not requiring the expense of a study abroad program. Some even offer a small stipend. You can get the credits you need as well as valuable work experience. And, you’ll have the potential for meeting key people in your chosen field. Volunteer Programs – Less costly than an internship or study abroad program, there are many volunteer programs available for students. You’ll still experience another culture and language, provide a valuable service, and make lasting relationships. With recent terrorist attacks and growing concerns about terrorism, it would be reasonable to expect that students would be more concerned about participating in any international program. To the contrary, the popularity of study abroad programs has not shown any decrease. Security risks are everywhere, and students seem to accept that this is a part of their world. Terrorism, shootings, or other mass attacks occur across the globe. However, the odds of being involved in an attack remain relatively remote. Still, caution, no matter where you are studying, is advised. If you are participating in a study abroad program, consider registering with the U.S. Embassy. Colleges are including emergency protocols as part of their overall study abroad programs and security precautions are now an agenda item during orientation. Download the Wi-FI Calling App on your smartphone to make low-cost Wi-Fi calls to the United States (two cents per minute) or call app to app for free. If you have an unlocked smartphone, a Global SIM card is a great option. It can be used at drastically lower calling rates than through a U.S. domestic network provider. Rent a Pocket Wi-Fi Hotspot. Not only is it a secure connection, but in recent events, the Prime Minister of Belgium asked everyone to use Wi-Fi calling and texting to keep the cellular lines clear for emergency services. You’ll also avoid outrageous data roaming charges or relying on an Internet café. 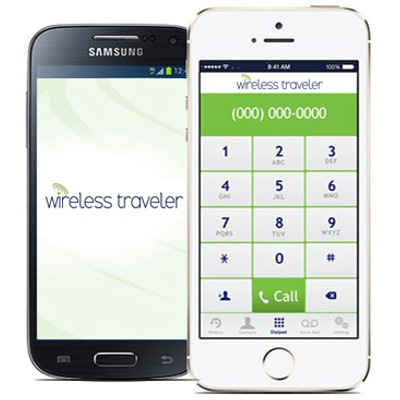 Wireless Traveler offers a hotspot that is small and lightweight and supports up to 5 devices.